by Rebecca Seger and Lenny Allen — We haven’t entirely moved on, and the sea of scholarly communications, the one in which we all swim, continues to be roiled by Short-Term Loans (STL) and other evolving and emerging business models. by Kathleen Carlisle Fountain — DDA let us collectively own and share a variety of eBooks that had demonstrated value to the membership. 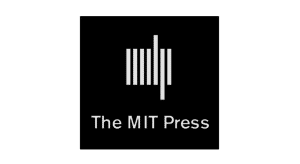 by Michael Zeoli — It is what has happened since 2011-2012, and particularly over the past two years, that has caused high anxiety among publishers and is causing many to reconsider the models in which they had agreed to participate. This will have consequences for library content access and acquisition. by Michael Levine-Clark — As with any DDA program, it requires the library and vendor to work together to identify the right mix of titles to make available to users relative to the amount of money committed. Defining a Comprehensive eBook Acquisition Strategy in an Access-driven World by Jason Price and Maria Savova — If libraries ensure that any money saved via DDA and STL in a given year is immediately reinvested in books, that would go a long way toward supporting the path to ongoing book publishing sustainability. by Xan Arch — Xan was curious what the authors from the 2011 ATG issue on PDA thought about their articles now and how PDA has changed since then. by Rebecca Seger and Lenny Allen — Publishers, by and large, have made a commitment to supporting libraries in their desire not to pay for content until there is use. VP, Market Development, ProQuest Books by Rebecca Seger and Lenny Allen — It’s just easier to dip into something you can cut incrementally (books) vs. something you cut off totally, like a journals collection. by Lura D. Sanborn — Will Watson predict our information needs, answering them before we even know we have them? by Ann Okerson — There exists an immense number of kinds and types and shapes and business models of publishing activity. Monograph Musings by Regina Gong — Reviews of Leading Libraries: Letting Go of Legacy Services; Personal Librarian: Enhancing the Student Experience and much more. The Renaissance: Secular and Sacred by Dr. Thomas M. Izbicki — Books we need to keep in our collections. Reviews of Reference Titles by Tom Gilson — Tom reviews theAfrican-American Leadership: A Concise Reference Guide; Encyclopedia of the Continental Congresses; Salem Press’ Cyclopedia of Literary Characters and many more. Grace Forgiveness Unity by Donna Jacobs — Donna has a personal memory like each of us about the massacre of 2015 in the Emanuel AME Church in Charleston. Don’t You Dare Ignore Fair Use — The Dancing Baby Case by Bruce Strauch — Stephanie Lenz v. Universal Music Corp; Universal Music Publishing Inc.; Universal Music Publishing Group Inc. Copyright Column by Laura N. Gasaway — Lolly answers intriguing questions. Can a library provide a copy of a journal article to a patron or via interlibrary loan if the article makes up the entirety of a specific issue of a journal? Multi-Client Studies by Myer Kutz — Developing and selling a multi-client study does involve some expenditure of funds, but mainly time and sweat. Scholarly Publishing in Retirement by Bob Holley — Bob’s initial views on the advantages and disadvantages that retirement brings for those who wish to continue scholarly publishing. Reports of Meetings — More reports from the 34th Annual 2014 Charleston Conference by Ramune Kubilius and her crack team of reporters. Digitizing the Humanities: A How-To Guide for the Savvy Librarian by Mandi Shepp — An exploration of digital possibilities. by Bruce Strauch — What do spies and poker players have in common? Read about it here! Fitbit, Libbit, Throwafit by Mark Y. Herring — Mark wants us to consider a Libbit before a throwafit. Rethinking Monograph Acquisitions in a Large Academic Library by Trish Chatterley — Trish discuusses the legitimate concerns expressed by those who still prefer print and the overall concern that current trends may negatively impact the ability of libraries to build and maintain research level collections. What Happens AFTER the Library Buys the Product? by Michael Gruenberg — Mike talks about salespeople all over the world who are tasked with the job of selling a product or service to a defined market. A Forest for the Trees: A Response to Jacob Nadal’s “Silvaculture in the Stacks” by Andrew Stauffer — Here Andrew Stauffer responds to Jake’s previous article from the point of view of a historian of books and the cultures of reading. A Technical Services Perspective on Taking on a Shared Retention Project, Part 1 by Stacey Marien and Alayne Mundt — Shared Collection Projects are becoming increasingly common as library consortia reduce their print collections. Orbis Cascade Alliance Collection Development by Allen McKiel and Jim Dooley — This article views the Alliance’s cooperative collection development efforts, which are integral to its mission and vision. World War III, or Simply War, ver. 3.0 – A Soft Rollout? by Michael P. Pelikan — After a small look at history, Michael suggests we take a look at Wikipedia’s main article on Cyberwarfare. At the Only Edge that Means Anything/How We Understand What We Do by Dennis Brunning — Dennis talks about IBM’s Watson and Jeopardy and whether or not we should welcome our new computer overlords. Innovation in Open Access Publishing by David Parker — David describes a recent initiative to bring open access to a new anthropology archive and recent efforts in open access monograph and journal publishing. Unexpectedly Musical Updates by Jerry Spiller — Jerry checks back in with updates on some topics from previous installments of Decoder Ring to see what’s new.